We planted Snow Glories Chionodoxa forbesii about twenty years ago in the front of our house and they have spread every year. 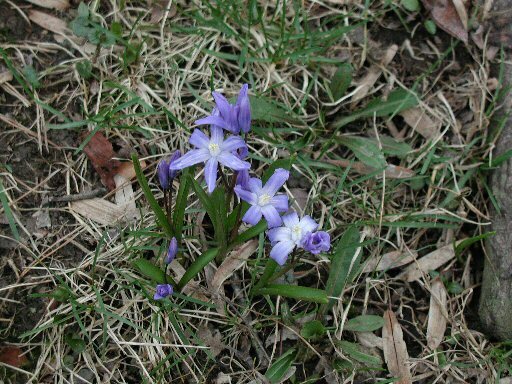 With their delicate violet flowers, they bloom in the grass before everything else. 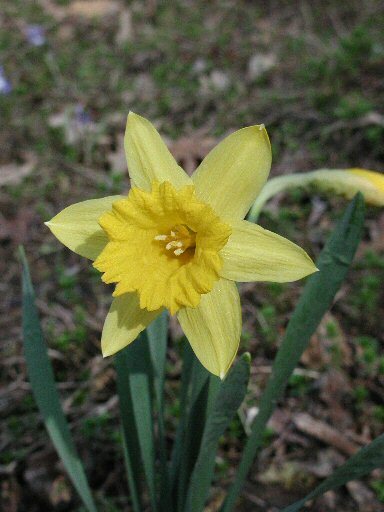 Daffodils should be a part of every homes landscape. With their bright yellow flowers, not to mention the many other shades, they are one of the most popular flowering bulbs. Ours have started to sprout as early as January. A couple of days later we entered a cold snap that had temperatures below freezing, even during the day, for almost a month. The daffodils came through and bloomed beautifully. A few years ago we on April 3, we had temperatures that reached 80F degrees. Two days later we had 9 inches of snow and nighttime temps of 21F degrees. The daffodils came through with only a few broken stems and still looked great! These are tough plants that are beautiful and deer resistant as well. 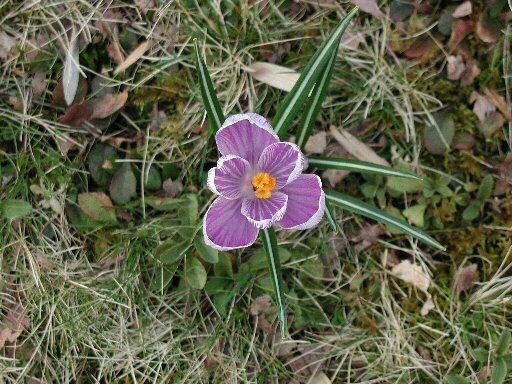 Crocuses are a third flowering bulb that bring a number of different colors and look great flowering in the lawn. You can plant them anywhere and they will come up year after year. You can plant them in clumps or spread them out for different effects.